85 out of 100. Incorporating 20+ ratings and reviews. 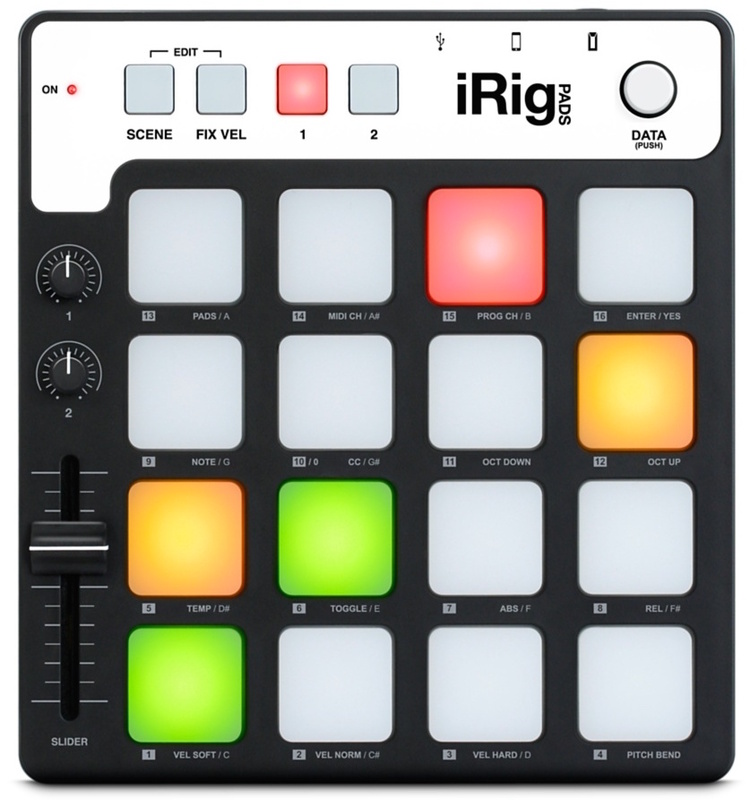 IK Multimedia's iRig Pads is a portable 16-pad MIDI controller designed for iOS devices, as well as Mac and PC. It allows you to easily set up and connect with an iPhone, iPad or iPod touch with its included Lightning cable. Its small and lightweight build makes it easy to slip in your bag and carry around. Despite it being small, it has the essential controls for sequencing - two knobs, two push buttons, one slider and one pushbutton rotary encoder. Its 16 distinct MIDI maps or “scenes” can be customized, saved and recalled instantly with the iRig Pads Editor software. Compatibility: Windows XP (SP3), Vista (SP1) , 7, 8, 10; Mac OS X 10.6 or later. Dimensions: 7.5" x 8.1" x 0.9"
For a small controller, users gave positive feedback on its velocity sensitive pads. They were impressed by how the pads were responsive and relatively large, which makes them ideal for MIDI drum playing. The controller itself has a pretty solid build. Both users and experts mentioned it integrates well with their own PC, Mac or iOS devices and there weren't any reported issues with the software editor that comes with it. In his Sound on Sound review, Simon Sherbourne said the controllers "were simple to hook up to my iPhone 5S and worked straight away with CoreMIDI-compliant apps." A few users mentioned that it doesn't work well with third party apps, but it's only designed to work with CoreMIDI compliant apps on iOS. This led them to download apps that were compatible. This controller is a great option for those who not only work with desktop devices, but also work with mobile iOS devices. This was on our recommended list until we performed a major review of the category in April 2019 when we found there were more highly rated options available which you can find in our guide to The Best MIDI Pad Controllers.